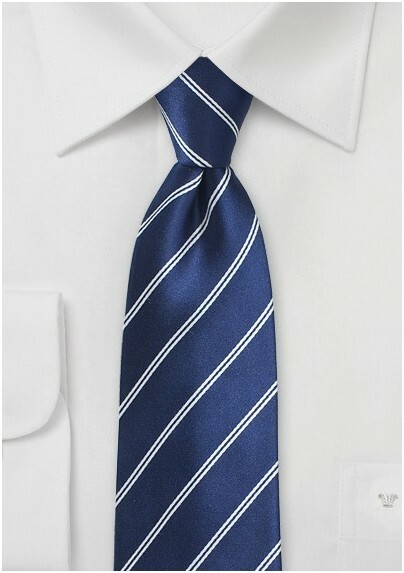 This Striped Necktie in Classic Navy by Parsley is inspired by a timeless aesthetic and the spirit of innovation, making it the perfect addition to any outfit that yearns for a new spin on business casual. 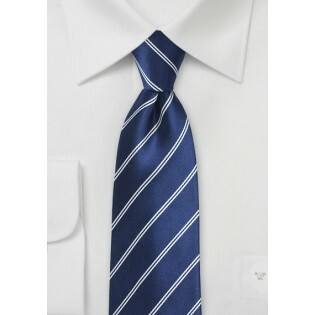 For a thoroughly modern look, match this piece with a brown blazer, bluejeans, and black loafers. Handmade, 100% satin silk.